Oyster and clams are nature’s original finger food. Jam it open, pocket the jewels and slurp down the goodness. And nature, being the good stewardess she is, sometimes asks you if you want to supersize that. Of course, nature is also a prankster, because next thing you know, you get handed a geoduck and the bivalve is eating you. 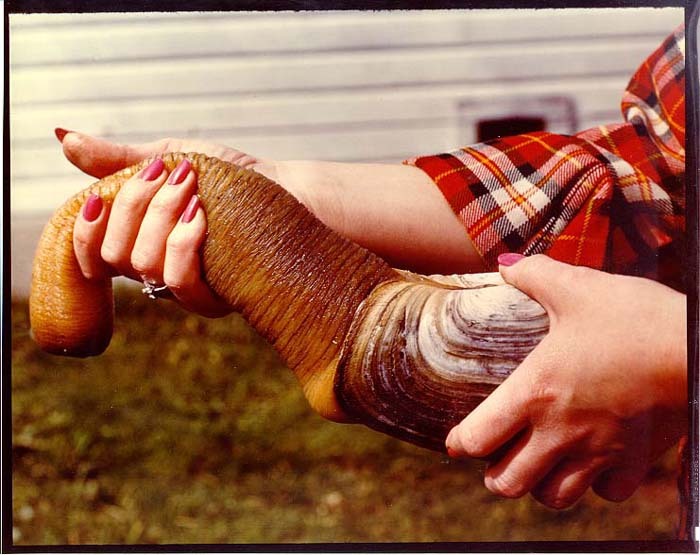 The Geoduck, pronounced “gooey duck”, can grow up to three feet long and outlive the most persistent of humans. This strange and delicious animal also possesses a disproportionate amount of cultural cachet. It not only stars in a clam-themed thriller, it is also the sports mascot of Evergreen university. It’s like the Justin Bieber of clams, just a mop top away from trending everyday on Twitter. Don’t mean to be a prude or anything of the sort, but it’s The Evergreen State College. Not university. It may not matter but their is a big difference between the school types.